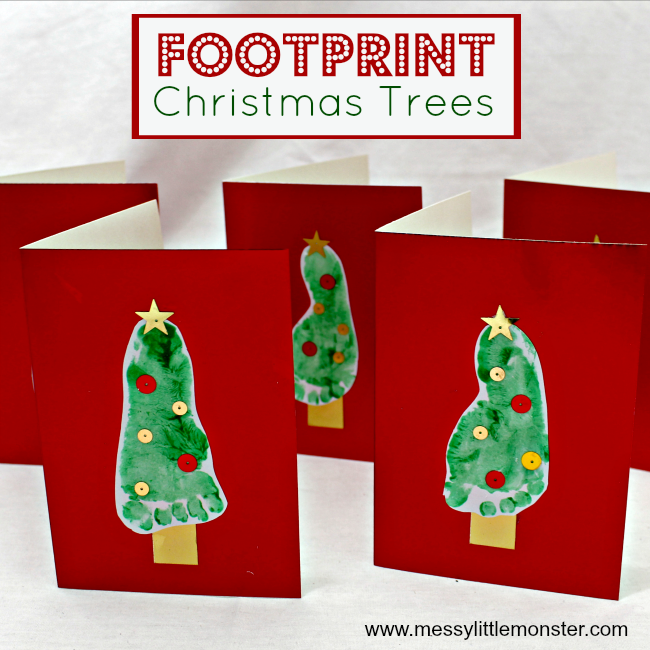 Make an adorable footprint Christmas tree card for someone special this Christmas. These DIY kid made Christmas greeting cards are lovely for any aged child to make, but I think they are extra special when they are for a babies first Christmas. 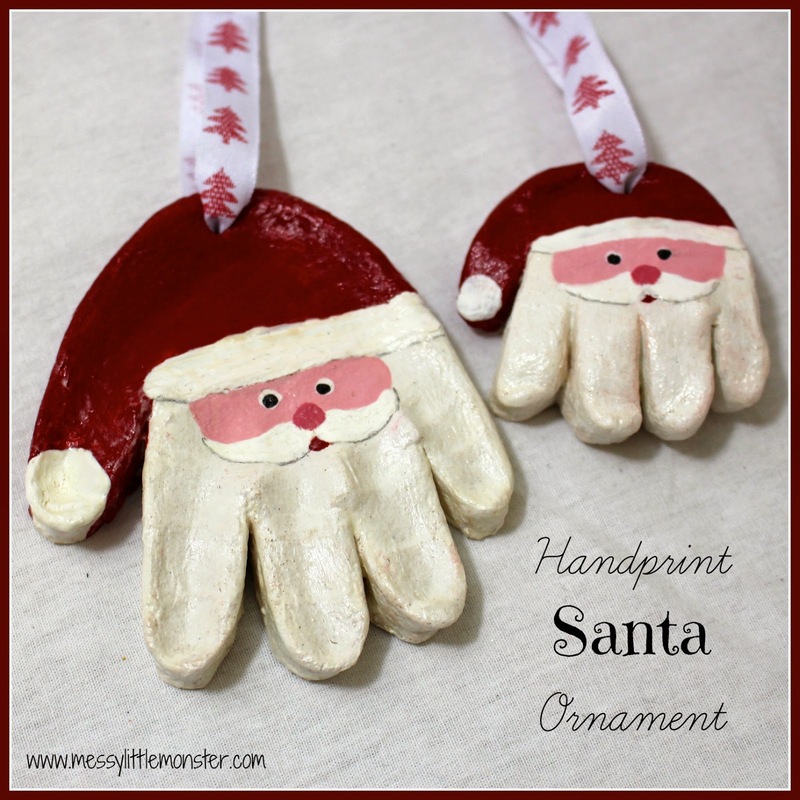 Toddlers and preschoolers would enjoy making and decorating them too and they make a great keepsake to be treasured by family forever. 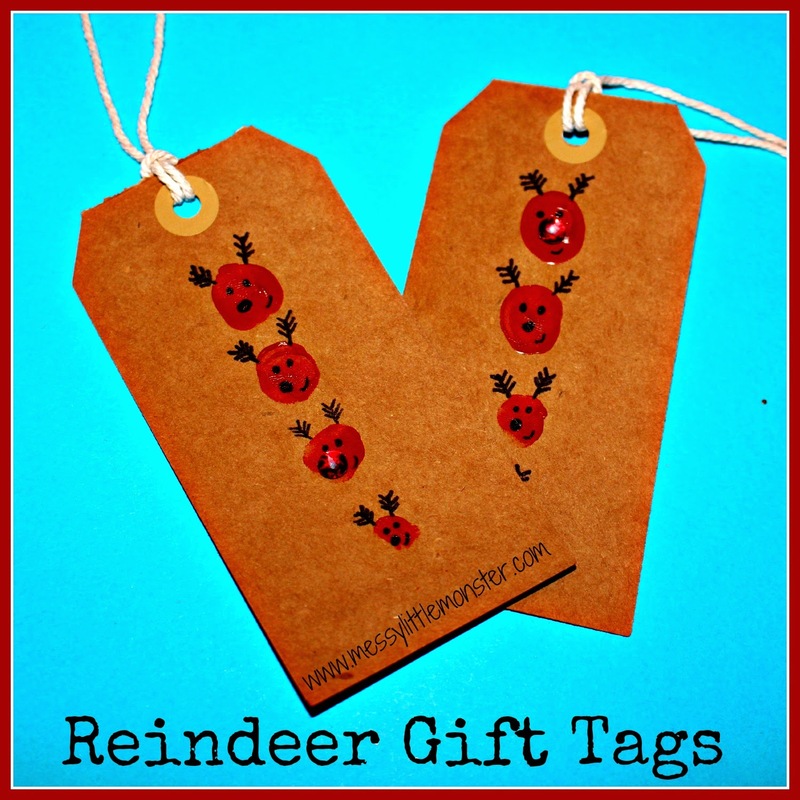 Take a look at all our Christmas crafts. 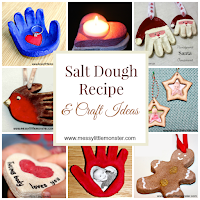 You will love our salt dough handprint Santa, Fingerprint Christmas tree ornament and our no mess snowflakes. 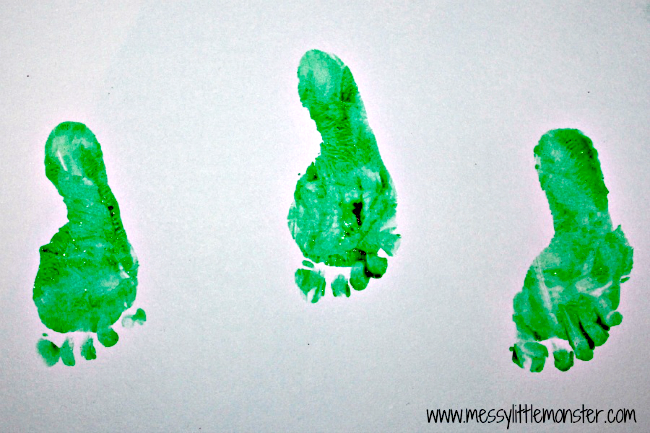 Start by making some footprints using green paint (with a bit of glitter mixed in for extra sparkle). We made these cards with Daisy (4 months old) and as much as she grinned away while we painted her feet she didn't want to stay still! I had lots of attempts before ending up with a few prints that I was happy with. I found that the best way of getting a good print was to lay Daisy on her changing mat, hold her painted foot in the air and then come from above with the paper I was printing onto. We did still end up with a lot of smudged footprints though! Once the footprints were dry I cut them out, leaving a bit of white around the edge as a border. I added a gold paper pot at the bottom of each tree and decorated the tree with sequins. 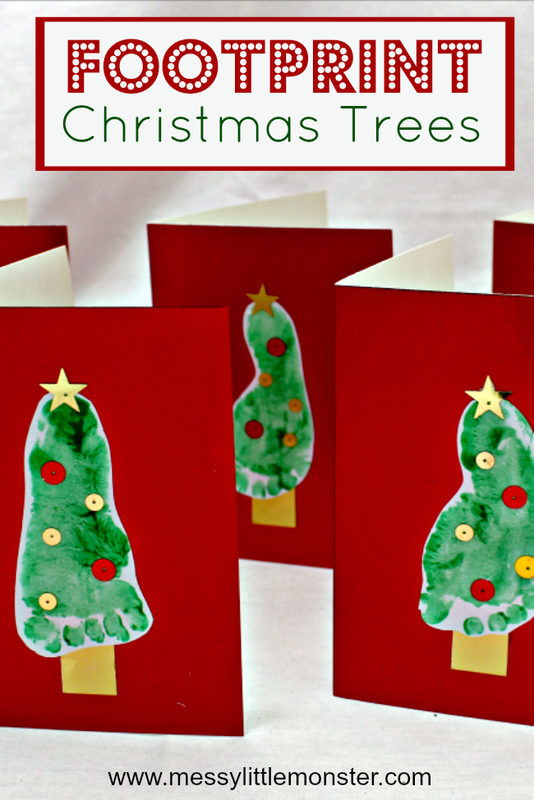 Toddlers and preschoolers will love decorating their own footprint trees. They could use sequins, pom poms or stickers to decorate their tree and I can guarantee each would end up completely individual. 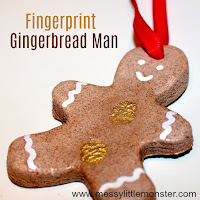 Painting on the ornaments using painty fingerprints could be fun too! Once complete stick the trees onto a piece of red card to make them look extra Christmassy. Before you leave take a look at our keepsake crafts. 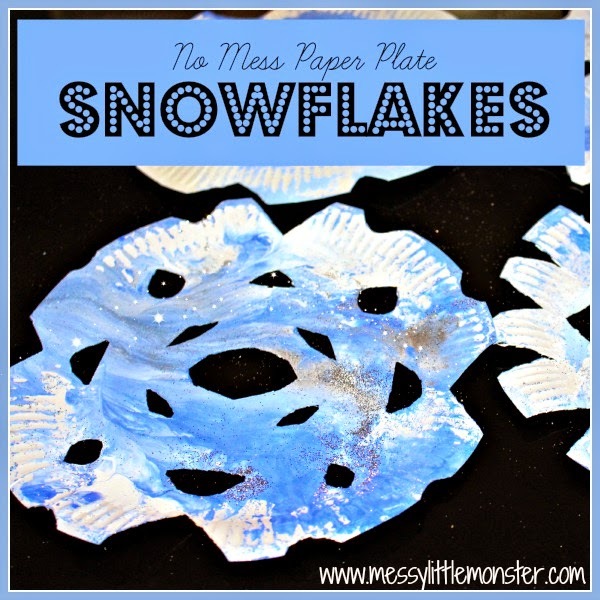 We have so many adorable ideas that are perfect for babies, toddlers and preschoolers.